I hope you're having a fantastic bank holiday weekend. Can you believe that it's already the 1st May? It's crazy how quickly April flew by. However, it's not a new month, and a new week too meaning it's time to set new goals and start achieving! May is one of my absolute favourite months purely because it's usually not too hot, but it also doesn't usually rain every single day. I do expect to have some beautiful days this month so I can take a trip to the beach. Although May is also a great month because it's one month away from my birthday and it's submission month for University (Although I have already submitted). This month isn't going to be filled with the most exciting things, but I am going to the Harry Potter Studio Tour on the 10th May. So be prepared for a blog post from my trip there as a belated valentines day present from my boyfriend. 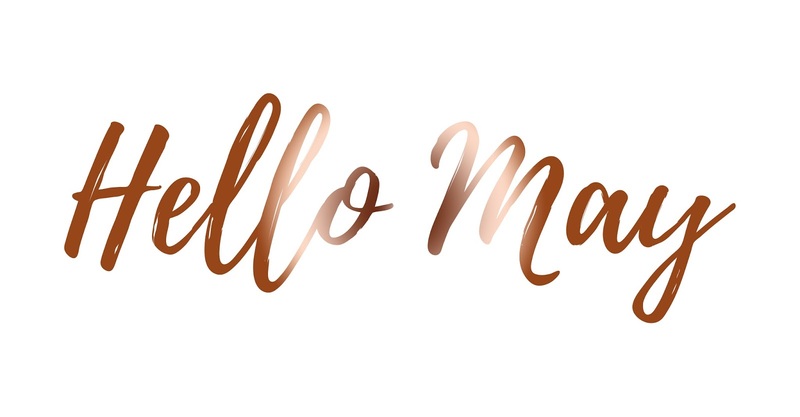 I want to use May as a month to really get my head around my blog. To start scheduling in advance again and to really get the most out of my blog and make it my little happy place where I know I'll be 100% happy when I look it. Although it is going to be time to start thinking about my dissertation and planning ideas and writing the first part, I do desperately want to spend a good chunk of May planning posts, writing up posts and taking lots of blog pictures and really putting 100% effort into my social media accounts too. I'm hoping this month will be the month where my studygram also goes through the roof. If you want to do something, believe that you can do it. If you believe you can do it; you can achieve whatever "it" is, and once you've achieved everything you want to achieve, you will succeed. But if you don't believe, you won't succeed. Have a lovely bank holiday Monday! I'm going to write these words on a post-it and keep it on my computer. Perfect reminder for today!